Last year, 30 leading venture investors told us about a fundamental shift from early-stage North American VR investment to later-stage Chinese computer vision/AR investment — but they didn’t anticipate its ferocity. 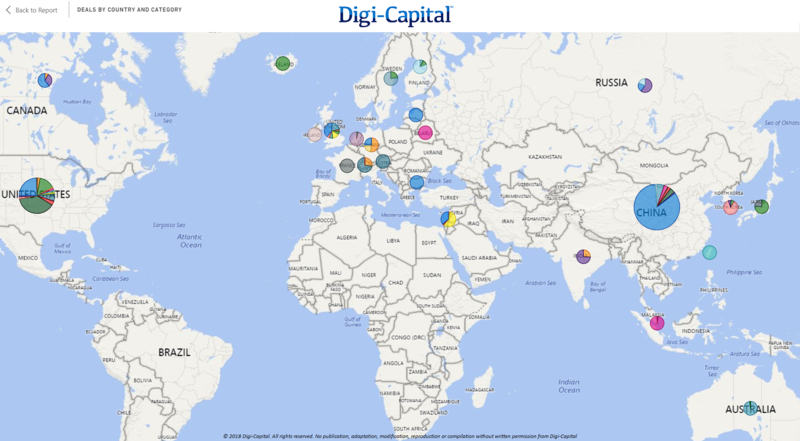 Digi-Capital’s AR/VR/XR Analytics Platform showed Chinese investments into computer vision and augmented reality technologies surging to $3.9 billion in the last 12 months, while North American augmented and virtual reality investment fell from nearly $1.5 billion in the fourth quarter of 2017 to less than $120 million in the third quarter of 2018. At the same time, VC sentiment on virtual reality softened significantly. When we spoke to venture capitalists last year, they had some pretty strong opinions. Mobile augmented reality and Computer Vision/Machine Learning (“CV/ML”) are at opposite ends of the spectrum — one delivering new user experiences and user interfaces and the other powering a broad range of new applications (not just mobile augmented reality). The market for mobile AR is very early stage, and could see $50 to $100 million exits in 2018/2019. Dominant companies will take time to emerge, and it will also take time for developers to learn what works and for consumers and businesses to adopt mobile AR at scale. 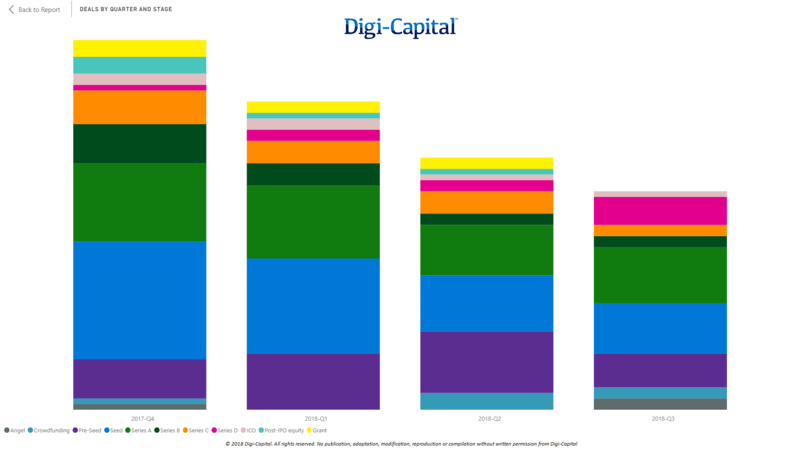 (Note: Digi-Capital’s base case is mobile AR revenue won’t really take off until 2019, despite 900 million installed base by Q4 2018.) Tech investors are most interested in native mobile AR with critical use cases, not ports from other platforms. Computer vision and visual machine learning is more advanced than mobile AR, and could see dominant companies in the near term. Here, investors love startups with real-world solutions that are challenging established industries and business practices, not research projects. Firms are investing in more than 20 different mobile augmented reality and computer vision and visual machine learning sectors, but there is the potential for overfunding during the earliest stages of the market. Perhaps the most crucial observation is the declining deal volumes over the last year. The biggest casualties of this short-termist approach have been early-stage startups raising seed (deal volume down by more than half) and some Series A (deal volume down by a quarter) rounds. This trend has been strongest in North America and Europe, but even Asia has not been entirely immune from some early-stage deal volume decline. While deal volume is a great indicator of early-stage investment market trends, deal value (dollars invested) gives a clearer picture of where the big money has been going over the last 12 months. (Note: investment means new VC money into startups, not internal corporate investment — which is a cost.) Global investment hit its previous quarterly record over $2 billion in Q4 2017, driven by a few very large deals. It then dropped back to around $1 billion in the first quarter of this year. Since then, deal value has steadily climbed quarter-on-quarter, to reach a new record high well over $2 billion in Q3 2018. More than $4 billion of the total $7.2 billion in the last 12 months was invested in computer vision/AR tech, with well over $1 billion going into smartglasses (the bulk of that into Magic Leap) . The next largest sectors were games around $400 million and advertising/marketing at a quarter of a billion dollars. The remaining 22 industry sectors raised in the low hundreds of millions of dollars down to single digit millions in the last 12 months. American and Chinese investment had an inverse relationship in the last 12 months. American investors increasingly chose to stay on the sidelines, while Chinese investor confidence grew to back up clear vision with long-term investments. The differences in the data couldn’t be more stark. North American investment was almost triple Asian investment in Q4 2017, with a record high of nearly $1.5 billion dollars for the quarter. 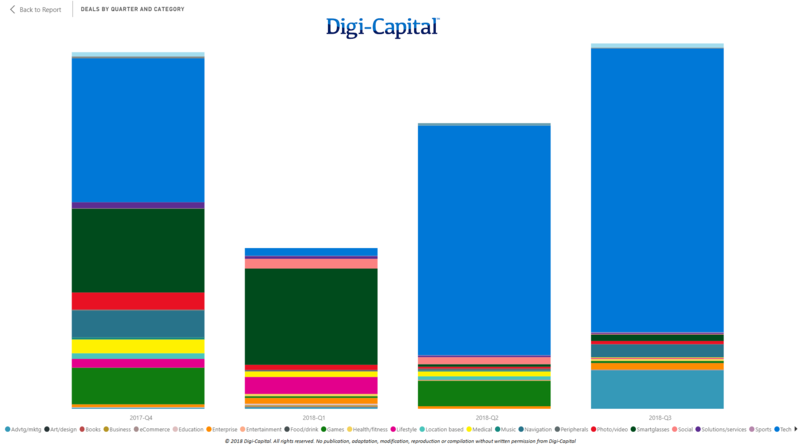 Despite 2018 being a transitional year for the market (Digi-Capital forecast that market revenue was unlikely to accelerate until 2019), North American quarterly investment fell more than 90 percent to less than $120 million in Q3 2018. American VCs appear to have taken a long-term solution to a short-term problem. Meanwhile, Chinese VCs have been focused on the long-term potential of the intersection between computer vision and augmented reality, with later-stage Series C and Series D rounds raising hundreds of millions of dollars. This trend increased dramatically in the last 12 months, with SenseTime Group raising more than $2 billion in multiple rounds and Megvii close behind at over $1 billion (also multiple rounds). With our team’s investment banking background, experience shows that forecasting venture capital investment is a fool’s errand. Yet it is equally foolish to ignore hard data, and ongoing discussions with leading investors along Sand Hill Road and China indicate some trends to watch. American tech investors might continue to wait for market traction before providing the fuel needed for that traction (even if that seems counterintuitive). While this could pose an existential threat to some early-stage startups in North America, it’s also an opportunity for smart money with longer time horizons. Conversely, Chinese VCs continue to back domestic companies, which could dominate the future of computer vision/augmented reality. The next six months will determine if this is a long-term trend, but it is the current mental model. 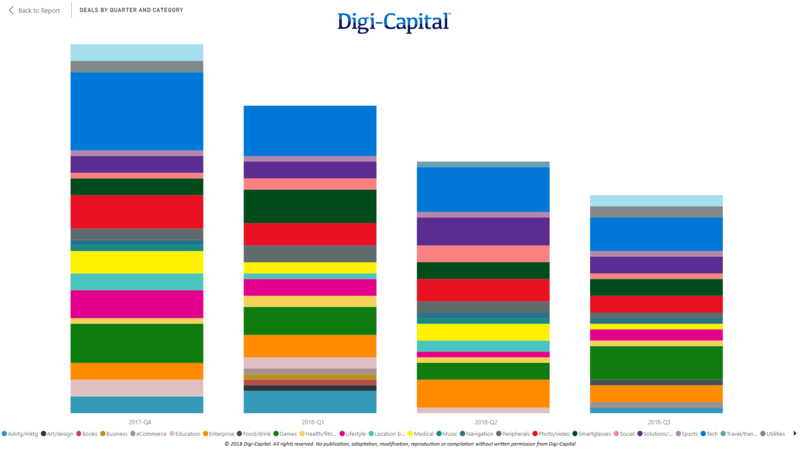 Chinese investors embraced a Jobsian approach over the last 12 months, with Western VCs increasingly dot-connecting (or not). It will be interesting to see how this plays out for computer vision/AR investment over the next 12 months, so watch this space.